Fahrenheit is proud to be a key sponsor for this years Virginia Venture Summit and we are excited to see such a robust agenda. Jimmy Brisimitzis – The keynote address is being delivered by Jim Brisimitzis, the General Manager for the Microsoft Start-up program in the United States and he previously led Microsoft Ventures Globally. Jim will discuss how Microsoft embraces the start-up ecosystem. 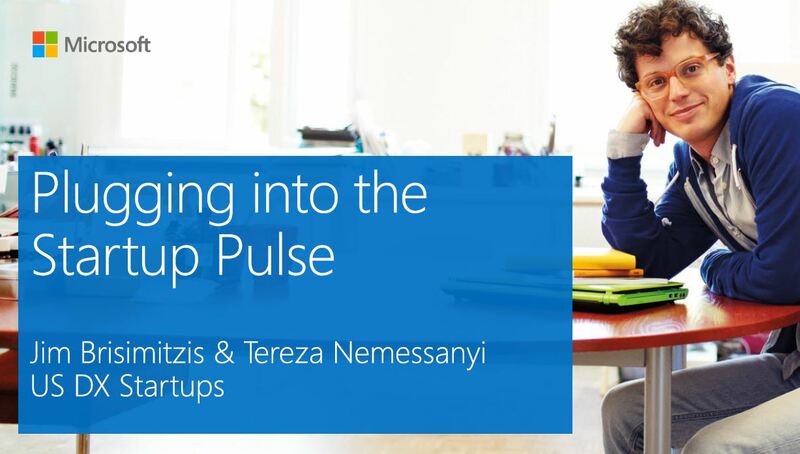 Tereza Nemessanyi – Jim will be joined by Tereza Nemessanyi, Entrepreneur in Residence at Microsoft who works with start-ups on the east coast. As Founder/CEO of web startup Honestly Now, she was named one of Forbes “Ten Female Entrepreneurs to Watch”. and Chuck Rinker – Founder & CTO at PRSONAS. Our panels and discussions this year will cover topics from Funding your Start-up from Seed Round to Exit to innovation topics. At lunch, Todd Parnell, the COO of the Richmond Flying Squirrels will discuss the path to becoming the best performing baseball (start-up) business and team in minor league baseball. The afternoon is packed with presentations from start-up and emerging growth companies showcasing their ideas followed up with a rapid fire set of moderated discussions. This event is for entrepreneurs looking to showcase ideas, meet capital providers, learn from leaders and build their network. Capital providers looking for the best and brightest start-up ideas in the region should not miss the opportunity to meet them at the Venture Summit. And, corporate executives looking to better understand how to embrace innovation, work with the start-up community and learn how companies like Microsoft have embraced the start-up ecosystem, should not miss this opportunity. Registration will close at 5:00 pm on Tuesday, March 31. Late registrations and walk-ins will not be allowed for this event.